Who is Confidence Speaker Tracy Bagli Hoover? A former TV news reporter and anchor at CBS affiliates, Tracy Hoover also was a noted voiceover performer, working for corporate clients that included Disney, NFL Films, Marriott and more. The vital skills she learned in those positions inspired her to launch the Confidence Project, where she teaches others how to connect with people quickly and make a strong impact. The people she coaches learn to be at ease in person and on the phone in any situation. In Tracy’s workshops, participants learn how to boost their credibility from the moment of introduction, how to make points while remaining civil, and how to prepare for presentations. Her sessions help emerging leaders and seasoned professionals gain confidence in every aspect of their work lives. 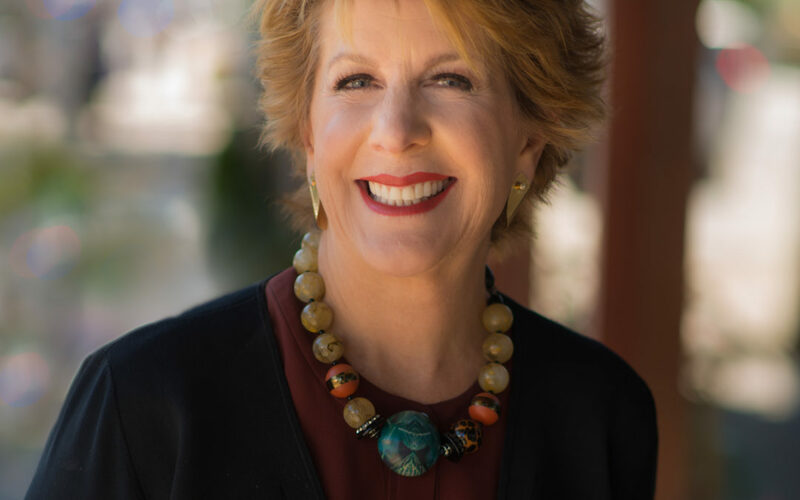 Tracy brings together insightful stories with humor and skill to help workshop participants lose their fear when seeking new clients or asking for referrals and promotions. Business people and sales professionals gain the skills they need to deliver killer presentations, whether on stage, in a board room, or in person. Through her work, Tracy makes it clear that she’s far more than just an inspiring speaker. She’s someone who passes on skills that change people’s lives. What Happens at a Tracy Hoover Confidence Project Workshop? Tracy Bagli Hoover believes that you should be seen, heard, and respected. Every person, of every age, background, and job, can learn the confidence skills that Tracy teaches. At the heart of these skills is the ability to make other people feel important. Drawing on her vast experience, Tracy helps workshop and coaching participants to identify the factors that sap their confidence. She helps instill energy in people, teaching them the power of civility and respect. After attending Tracy’s Confidence Project training, participants have the skills to prepare presentations confidently, to handle conference calls effectively, and to speak up in meetings when needed. Tracy teaches how to relate to anyone in any situation in a way to delivers and earns respect. Participants in her training sessions leave knowing they can return to their workplace with utter confidence. Interactive workshops with Tracy help participants build smart, practical skills that help them be comfortable with themselves, making powerful first impressions, and learn how to perform confident introductions. Tracy also helps with vital but often overlooked factors like proper posture, the effects of your resting face, and useful ways to get out of a conversation. Other powerful workshops help participants learn how to give killer presentations, with practical tips on how to use props, hand gestures and stories to keep your audience fascinated. She also helps people conquer stage fright and speak with confidence. Empower yourself to be confident in every situation when you hire motivational speaker Tracy Bagli Hoover. Her expertise in communication, networking, etiquette, presentation skills, and personal development can help you make connections and relate to anyone. Call 503-345-6784 for information and availability, or visit Tracy’s website today.